Well I finally finished the granny square baby blanket! 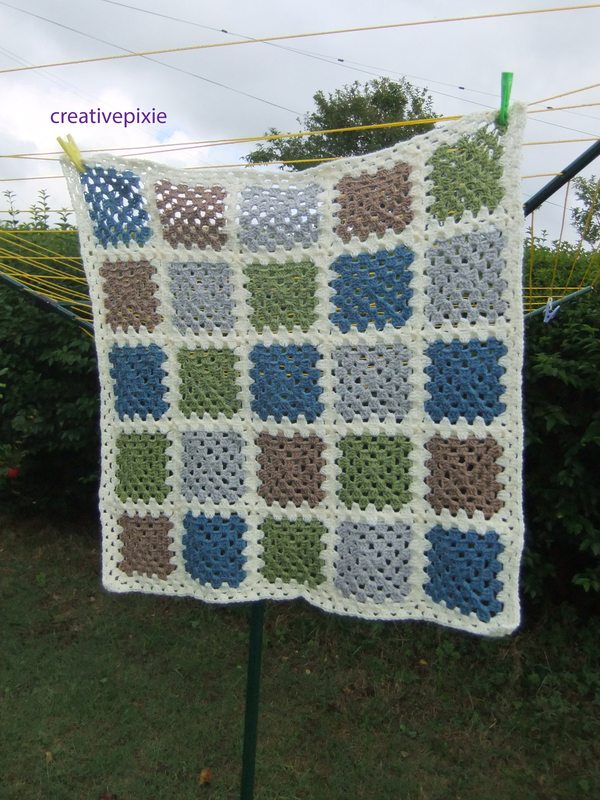 After weeks of making 25 squares, I then did a final outer round in cream on each square. 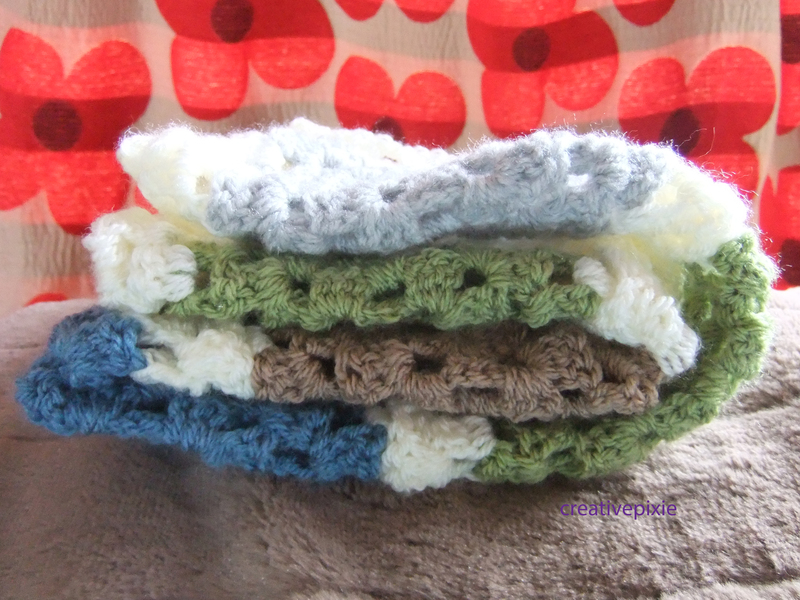 I know there’s a bit of debate as to which is the best way to join crocheted squares. 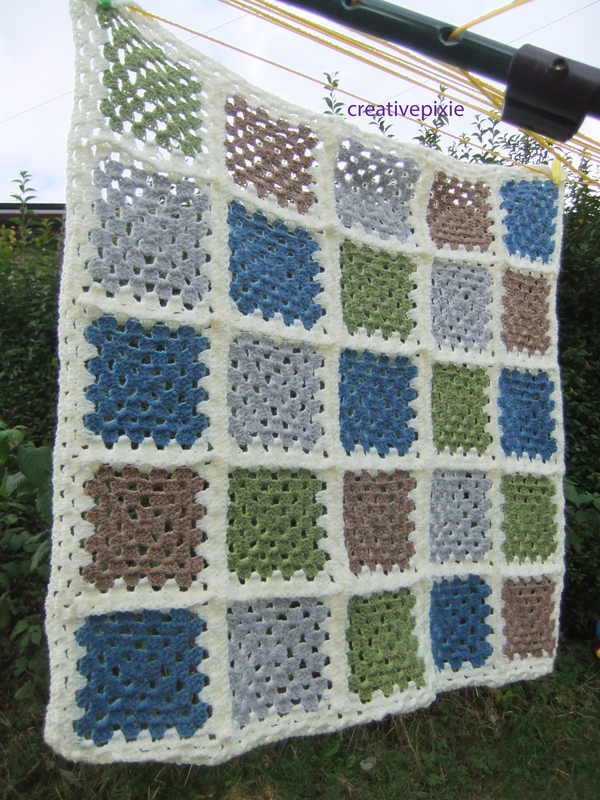 Personally I think it is much quicker to crochet the squares together than to sew them (however sewing does give a smoother result). So I crocheted all the squares together and did 2 rounds in cream round the joined up 5×5 squares. 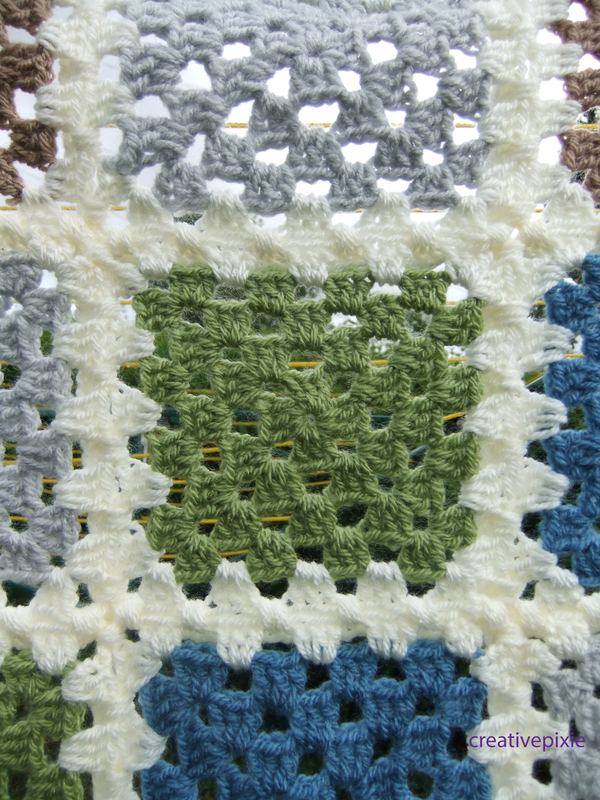 Crocheting the squares gives a ridged look on the back but I think this adds interest the blanket. So the blanket is now waiting to be wrapped up and delivered to its new little owner – welcome to the world baby Will. Thank you,it took me longer than I expected to make it but it’s been worth it. Thanks. Have you started into your freebie stash yet? You did a great job! I like the way your varied the colors on each row! The white adds a nice touch! Thanks I wanted the colours to be placed randomly. The cream wool helps bring out the colours I think. Beautiful blanket, I love the colours, too. I love the way you have crocheted the squares together. I totally wouldn’t have chosen those colours myself if I just saw them in skeins but you’ve made them look awesome together. Great work!! I had to go through my stash see what colours would be suitable for a boy.I didn’t want to do just blues cause that’s boring (when I had my girls I was given so much pink so now when doing baby gifts I try to stay away from the stereotypical colours). I love the green-its meadow by Stylecraft Special DK yarn. lovely blanket. I love the fact taht it is a bit different to the usual pinks, blues and yellow. Very sophisticated baby!! Thank you. I enjoyed making it however I’m now concentrating on the cross stitch for Christmas. Hey – Love this blanket – beautiful colour choice and so warm and soothing – a gift to be treasured! Love your blog, and love the blanket. Nice mix of colours. It looks so snuggly. 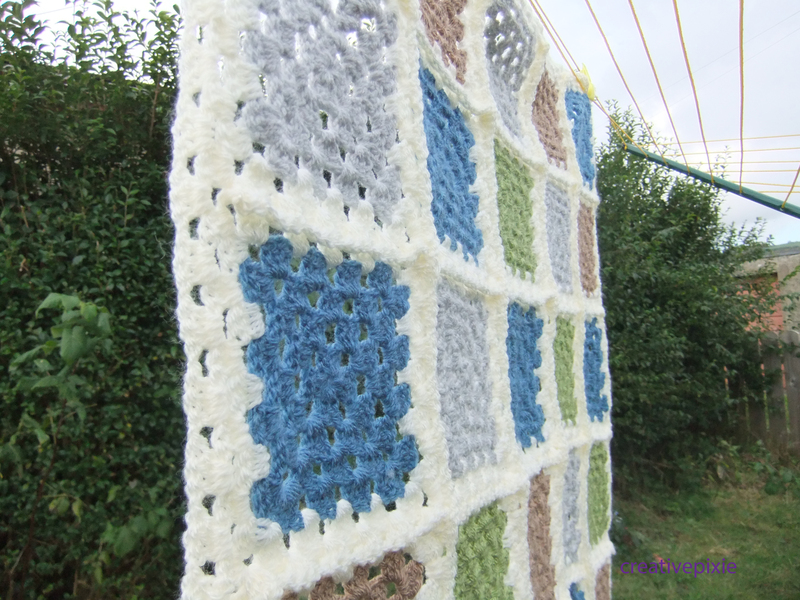 What a gorgeous blanket, absolutely lovely, and I’m sure the new owner will adore it! Thanks. I think perhaps I’ll do hexagons next time I make a blanket.